As we all know, it’s important to exercise on a regular basis. This is particularly important for the elderly, who need to maintain an active lifestyle to achieve optimal health. 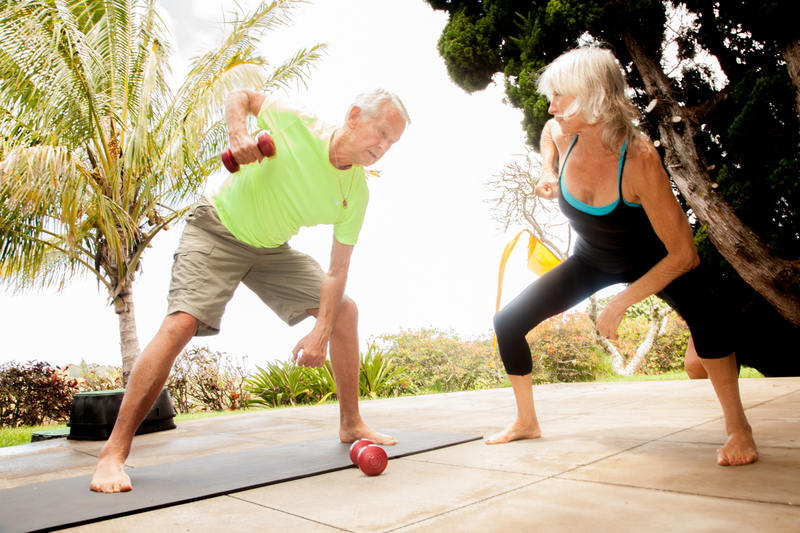 Unfortunately, seniors are more at risk for injuries when exercising or weight training than younger people. Here are a few things every senior should know about preventing and recovering from injuries. Even seniors who have exercised their entire life need to recognize that injuries will take longer to heal than they did when they were younger. The elderly have fewer growth hormones than younger people. They also have weaker immune systems and less blood flow than when they were younger. This causes longer recovery times, even for minor injuries like bruises. As a result, seniors need to be willing to take their time after suffering an injury. Elderly people can still make a full recovery following a weight training injury; it’s just going to take longer. If you don’t wait long enough for an injury to fully heal, it’s only going to lead to a recurrence of the injury and an even longer recovery. It’s important that you take all of your aches and pains seriously. Obviously, some of this will be completely normal when you exercise. But if you feel a new sensation, it could indicate an injury. If this happens, stop exercising and either wait for it to subside or visit a doctor to get it checked out. Trying to push through a potential injury is just asking for trouble. Considering the longer recovery times that come with age, you’d be wise to take some time off and let a minor injury heal properly before it becomes a long-term issue. When in doubt, stop exercising and don’t fight your body if you feel pain. Older people should exercise regularly, but they also need to get proper rest in between workouts. Muscles need time to repair themselves and regain their strength after weight training. At a certain point, training too often does more harm than good, especially as we age. Certain supplements can help fight inflammation that has occurred during injury, and are a great idea for keeping you in optimal health during your training routines. In addition to consuming the correct nutrients to support your exercise, seniors also need to take more time in between workouts than they did when they were young. Not taking enough time for the body to rest and recuperate between workouts may actually cause the body to breakdown faster, which is the opposite of what you’re trying to do by exercising. Visiting a doctor or licensed trainer for advice on a proper weight training routine is the best thing you can do to prevent injury. An expert in this field can help you to create a routine that fits both your lifestyle and your exercise goals while also limiting your risk of injury. If you’ve suffered an injury in the past, there’s a good chance you’ve done something wrong. To correct your mistake, it’s best to consult a professional for advice on creating a proper workout routine to follow. This will help you to stay healthy during your golden years while avoiding any serious weight training injuries.